Good Evening Conflucians. It is almost the witching hour. 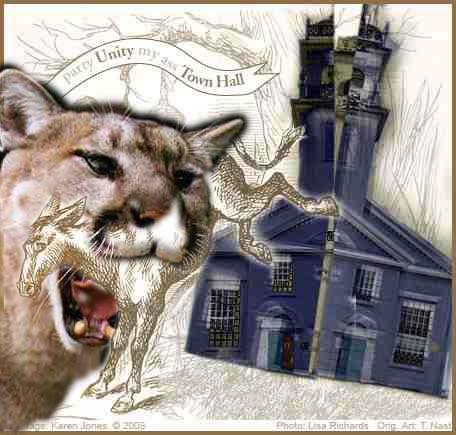 The PUMA spirit is coming alive as garychapelhill and I speed through the night towards New Hampshire. Tomorrow we will make our voices heard and draw the curtain back to expose this “Unity” rally for what it is, a big staged performance designed to fool the country that we are all uniting behind the presumptuous nominee. Stay tuned tomorrow. We can’t promise live blogging, but we will definitely have a wrap up and plenty of video. Below is a press release that is going out. The Democratic party is incredibly divided. Millions of Clinton supporters refuse to support Barack Obama for president. They believe the DNC manipulated the process to favor Obama, and had all their fears confirmed when, on May 31st of this year, the DNC broke their own rules by meeting behind closed doors to award delegates to Obama from voters that had gone to Clinton. Now, those outraged voters are turning to activism by protesting a staged unity event between Obama and Clinton set symbolically in Unity, NH on Friday, June 27th. An event, not designed to bring real unity, but to create a show of it for the media and mass consumption by the American people. The setting is remote, making it difficult for people to attend. The entire road will be shut down in front of the elementary school where the event is to take place. Only official Obama campaign buses will be allowed to travel the road, forcing anyone wanting to attend the event to sign up on his web-site and park several miles away, then travel on his buses. This does not sound like a real attempt at addressing the causes of the disunity in the party. It seems like an elaborate way to control the media message and weed out dissent. It is Unity through purge. Many Clinton supporters who are just saying “No Deal” to Obama will meet before the event. The details about the location and time of this meeting are at http://pumaaction.com. We plan on showing the reality of the Democratic party. There is no Unity. Thanks to the miracle of Satellites we can keep in touch with you on the road. So let’s ROAR! 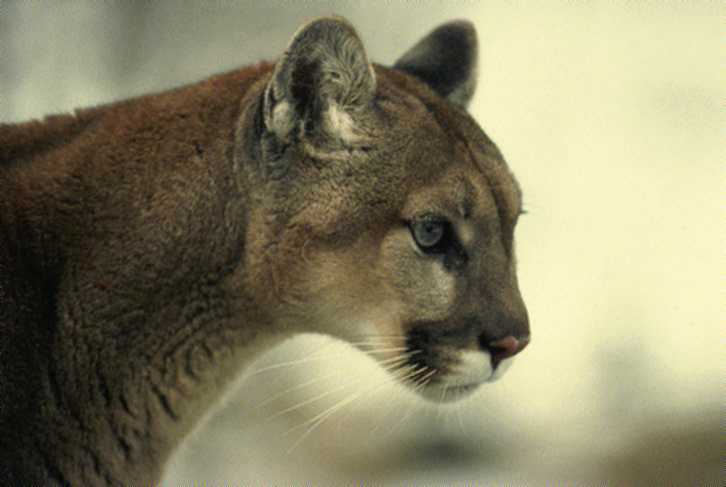 Enjoy the night, and let the PUMA rise from your collective consious. Heads up, PUMAs. Last week’s conference call with Just Say No Deal brought a surprise. Coalition members will be on Larry King Live tonight at 9:00pm, or so was the plan. I believe that Women For Fair Politccs will be represented tonight. They estimated that they would be featured in a 20 minute segment. So, if you have a chance, turn your tabbit ear antennas to CNN at 9:00pm and cheer them on. Okay this is just too much. Tomorrow, Barack Obama is staging a joint appearance with Hillary Clinton near a school in Unity, NH at what is to be called a “Unite for Change” rally. The Manchester Union Leader reports that the location was chosen not only because of the town’s symbolic name, but also because the votes for Clinton and Obama in this tiny NH town were tied 107-107. Oooooh, strange! For awhile now. I’ve gone off on a tangent about psychological warfare. I’m no psychologist but I did spend many years with a fanatically religious mother and I’ve seen every kind of psychological warfare there is. After 40+ years, I have yet to convert and remain as much of a sinner as I ever was. So, let’s take stock of where we’ve been and where we are now. First, the sweeties tried to debate us. Yes, they came with their personal power dynamics themed speeches about how we can all get along as long as we listened to them and stopped being such belligerent idiots. That didn’t work so well. Then they tried the guilt trips. If we didn’t vote for Obama, the forced pregnancy police were going to visit women at the workplace and subject everyone to pelvic exams. But we pointed out that the SCOTUS already has enough votes to overturn Roe without any help from us. Besides, with Obama now supporting Steny Hoyer’s FISA legislation, Roe is not the only thing we have to worry about with the Supreme Court and Obama is not the guy to save it. The most recent tactic to be used against us is something we researchers use occasionally. It’s called Learned Helplessness. We sometimes induce this in lab rats in order to test anti-depressant drugs. In short, the rat is subjected to a stressful situation, like putting it in a tank of water and making it think it’s about to drown. This situation is one that it can’t resolve or relieve. Do this for n times and then measure how much the rat is depressed by putting it the corner of a square, for example, and measure how long it takes for the rat to wander out of it. The efficacy of the drug is related to how quickly the rat leaves the corner. Really depressed rats just sit there. And sit there. They have become passive against what they see as overwhelming helplessness, or so we think because, after all, no rat has ever told us how suicidal it is. Learned helplessness is a psychological condition in which a human being or an animal has learned to believe that it is helpless in a particular situation. It has come to believe that it has no control over its situation and that whatever it does is futile. As a result, the human being or the animal will stay passive in the face of an unpleasant, harmful or damaging situation, even when it does actually have the power to change its circumstances. Learned helplessness theory is the view that depression results from a perceived absence of control over the outcome of a situation, or situations (Seligman, 1975). Examples can be found in schools, mental institutions, orphanages, or long-term care facilities where the patients have failed or been stripped of agency for long enough to cause their feelings of inadequacy to persist. This is bull$%^&. Anyone who remembers 1988 will remember that Dukakis was ahead during the summer and how did that go? Øh, and then there was Kerry, remember him? He was going to whup George’s @$$ (God, how naive we were). My point is that if the Republicans took the attitude that they were done for, we’d have had Democratic presidents in one long unbreakable string, one after another. So, what do the polls really show? Well, they probably reflect somewhat realistically that some Hillary supporters have moved to Obama. Obama shouldn’t kid himself into believing that they actually *like* him. I’m pretty confident that they do not. But I’m guessing that a lot of them have bought the previous troll bait on the SCOTUS and with Hillary suspending her campaign, they might feel that the lesser of two evils, yada-yada-yada… Of course, I’m not absolutely convinced that Obama *is* the lesser of two evils, but that’s neither here nor there. The frequency and intensity of the polling data in the news is intended to make us “shrieking bands of paranoid holdouts” feel like we can’t do anything to fight the tsunami of Obama’s inevitability. It is designed to make you passive just when your activity has the most power to affect some kind of change- before the actual convention. Are you going to let them box you into a corner? The GOOD thing is that this PUMA movement that started here at The Confluence, has gone viral. We now have many coalition members fanning out across the media, thanks to Diane at JustSayNoDeal, who are getting the message out that we are not giving in. And as long as we have our votes, we are not helpless. If they don’t pay attention to us before the convention, they are sure as Hell not going to forget us after the election. The more there are of us. the more power we have. The bigger our numbers, the harder Obama and the DNC have to work to win us back. Let THEM see how high the mountain is. We are NOT helpless, the odds are NOT against us, we ARE growing. We are going to do whatever little acts of resistance it takes to make ourselves noticed and respected. If we stick together and keep our resolve, we will be a force to be reckoned and I’ll be damned if someone is going to box ME into a corner I can’t get out of. One more thing: I can’t access the webpage from work anymor since a new firewall went up. So those of you who thing the fire has gone out can stop worrying. I’m just chomping at the bit at my desk. But forturnately, we have plenty of very committed people at this blog who do some pretty passionate posts so I’m sure we will be in good hands. Meanwhile, we have a whole lot of new freinds at JustSayNoDeal and at PUMA Pac. Check them out.